I've been trying to get involved in art communites again, so I've been hanging out at ConceptArt.org and the Drawing Board. 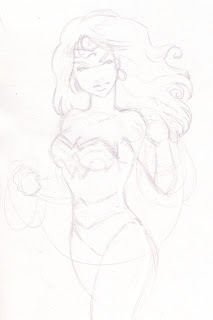 DB had a great Justice League art jam going on, so I drew a Wonder Woman piccie. Working on the colors right now.